Lil' Blog and More: Do you love diamonds? Check out Brilliance.com! Let's face it; We all love diamonds! They are so beautiful, and can be crafted in so many ways! That's why I am really happy to tell you about Brilliance.com! Brilliance sells anything from Wholesale GIA Diamonds, to gorgeous engagement rings, to beautiful necklaces! 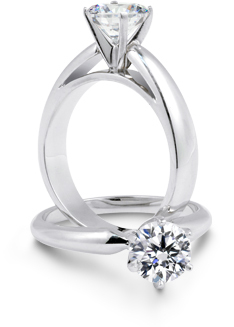 If you are in the market for a diamond ring, necklace, or just loose diamonds, be sure to stop by Brilliance.com! They offer a huge variety of different styles, and they even offer custom jewelry! Disclosure: This is a sponsored post. All opinions expressed are my own, and were not influenced in any way.